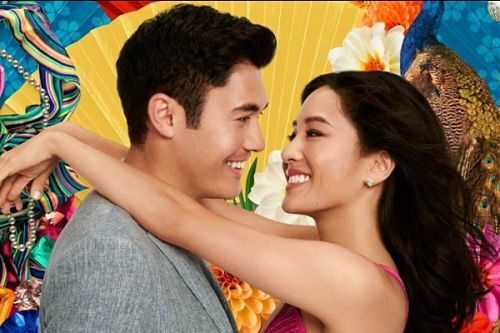 Story: Rachel Chu (Constance Wu), an economics professor from New York discovers she is dating one of the most sought after bachelors in Asia — Nick Young (Henry Golding), when she accompanies him to his best friend’s wedding in Singapore. While Nick likes how unconcerned Rachel is of his family’s wealth, his status conscious mother Eleanor (Michelle Yeoh) doubts her intentions and the fact that Rachel is too American and so, not one of them (Chinese). Cast: Constance Wu, Henry Golding, Gemma Chan, Awkwafina, Nico Santos, Lisa Lu, Ken Jeong, Michelle Yeoh. Review: Based on Kevin Kwan’s best-selling novel by the same name, you will like ‘Crazy Rich Asians’ for the same reason that you may have liked Meghan Markle and Prince Harry’s wedding. An accomplished woman but a ‘commoner’ winning over the heart of a Prince Charming, thus setting tongues wagging. For instance, Eleanor’s skepticism about her son’s girlfriend doesn’t solely stem from Rachel’s ordinary background. Her thinking mirrors society’s age old outlook towards women. If a woman isn’t willing to pick family over career, she isn’t good enough. Other than showcasing the sights and sounds of Singapore and a girl’s struggle to fit in, the film subtly speaks of breaking norms and accepting people for who they are.